This recipe is a loose adaptation of this one for Baked Ziti and is what I served Friday night to the girls! Preheat oven to 350F. Boil water and chop green onions, then set aside. When water boils, add pasta and cook according to instructions (mine had a cook time of 12 minutes). When pasta is added to water, start cooking ground beef. Once beef is browned, add spaghetti sauce and seasonings to taste to make the sauce mixture. I used Italian Seasoning -- no salt. In fact, we never really add salt to much of anything. I'm not a huge fan, but this is where you would add it if you want it! Heat the sauce mixture while pasta finishes cooking. I left the heat high so that the sauce would heat more quickly. Get a pan ready -- I used the biggest pan I have available, at least a 13x17 will be needed. Butter it lightly to prevent the baked pasta from sticking to the edges. Drain the pasta, turn off the sauce mixture. Put half the pasta in the pan and pour about half the sauce over the pasta. Stir it. Sprinkle a handful of cheese over it, along with half the chopped green onions. Now put the rest of the noodles in, add the rest of the sauce, spreading it over the noodles with the back of your spoon. Then sprinkle the rest of the green onions over the top. Now, take the sour cream, and take two large spoonfuls (about one-third of a 16 oz container) and spread them over the top with the back of your spoon. Cover the top in cheese, lots of it! I used one full bag plus one handful of shredded cheese total on this recipe. You will have about a half a bag leftover. Put in the oven for 15 minutes, or until cheese is melted. Change oven settings to broil and brown the cheese for about 3-5 minutes. Watch it carefully so you don't burn it! It's delicious. 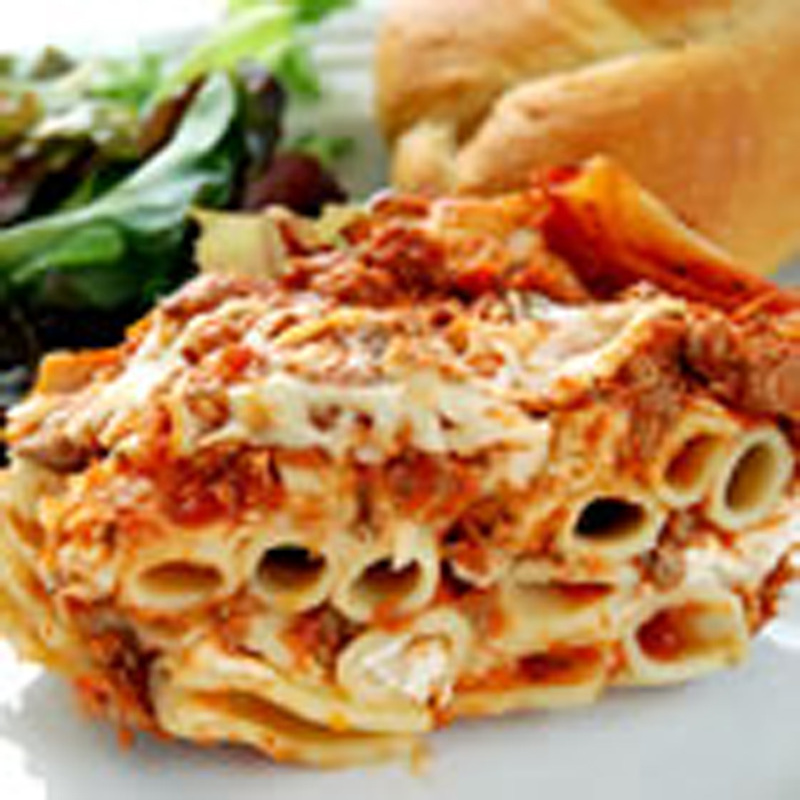 Definitely the easy way to do a "lasagna" without all the hassle! Everyone loved it and went back for seconds and now Brian and I are enjoying eating the leftovers! That sounds delicious! I may have to try it given how much I hate making lasagna.